PARADISE LOST - TRAGIC IDOL (CD) | Online Shop | Wizard LTD.
Thirteen albums into Paradise Lost&apos;s 20+ year career, namedropping is pointless. The only band they can and should be held up against for comparison and consideration is Paradise Lost. With a career dating back to 1988, and their official recording debut in 1990 (Lost Paradise), the band has been riding and rollercoaster of highs and lows that began in earnest with their fourth album, Icon, in 1993. It presented Paradise Lost as a band that had more to offer beyond their established doom-death metal sound, driving the point home in 1995 with Draconian Times, an album that is considered to be a goth metal benchmark to this very day. That they would follow their international breakthrough with a slide into the realms of electronica only two years later (One Second) boggled the collective mind of Paradise Lost’s devout fanbase, yet their new direction earned a following of its own. The band made a gradual return to the swamp that spawned them, however, beginning with 2002’s Symbol Of Life. 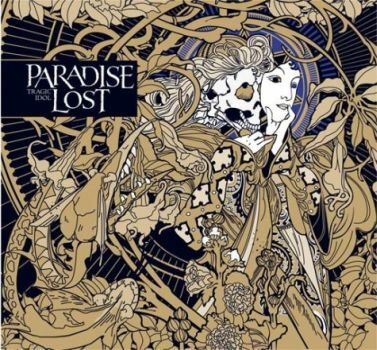 Elements of their favoured doom-goth sound grew consistently darker and louder with each album that followed, and each time the curiosity as to how far Paradise Lost would take this comeback grew. It’s fair to say the band’s new outing, Tragic Idol, is the album fans of the Icon and Draconian Times era have been waiting on the edge of their seats for. Recorded at The Chapel Studios in Lincolnshire, England, with vocals laid down at Fascination Street Studios in Orebro, Sweden and produced, mixed and mastered by Jens Bogren (OPETH, BORKNAGAR), Tragic Idol is a no-holds-barred album that, according to guitarist Greg Mackintosh, was “influenced more by classic metal and classic doom metal than anything else.” Lead-off track ‘Solitary One’ the closing dirge of ‘The Glorious End’ echo this statement with their crushing doom approach, while the sledgehammer riffs of ‘Crucify’, ‘To The Darkness’ and ‘In This We Dwell’ draw Paradise Lost out of the goth realm, simultaneously pulling naysayers of the genre into the darkness. This is par for the entire course of Tragic Idol; for every plodding doom-oriented track there is a song loaded with traditional metal riffs and guitar leads, making it a feast for anyone who takes pleasure in being crushed by a wall of guitars. Vocalist Nick Holmes leads the charge, as always, singing his guts out rather than opting to growl and croon his way through the proceedings. In a day and age when gothic metal is often defined by how closely the vocalist can mimic the late and great Peter Steele (TYPE O NEGATIVE), Holmes attacks with a diversity and aggression that raises the bar for veteran would-be goth heroes and newcomers to the scene. Holmes’ lyrics have always been traditionally dark and introspective, and Tragic Idol is no exception. There are no verses for the fantasy and folk metal set, no tales of boy-meets-girl; he chooses instead to focus on the depths of stark reality. Tragic Idol as a whole isn’t merely Paradise Lost’s long-awaited return to form; it’s a soundtrack inspired by life, served up as a well-meant kick in the teeth.